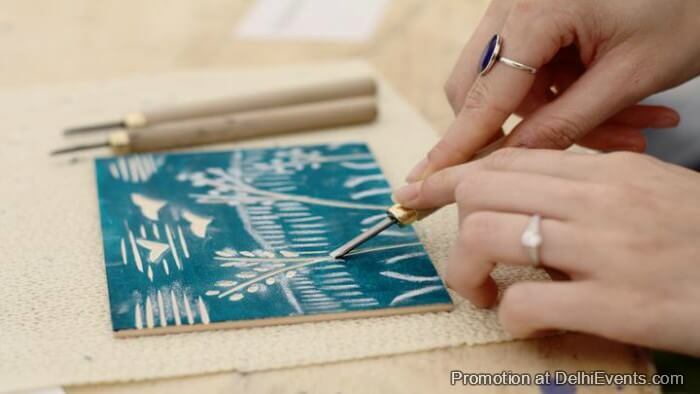 Woodcut is relief printing technique where an image or pattern is carved into the surface of wood blocks. With no prior experience necessary, this workshop will introduce participants to the requisite tools and carving techniques to help them create their own patterns and prints. They will also be taught ways to obtain a range of textures, depth, and dramatic contrast to produce strong visuals. The workshop will be facilitated by The Print Club Delhi, a collective of professional printmakers and artists.